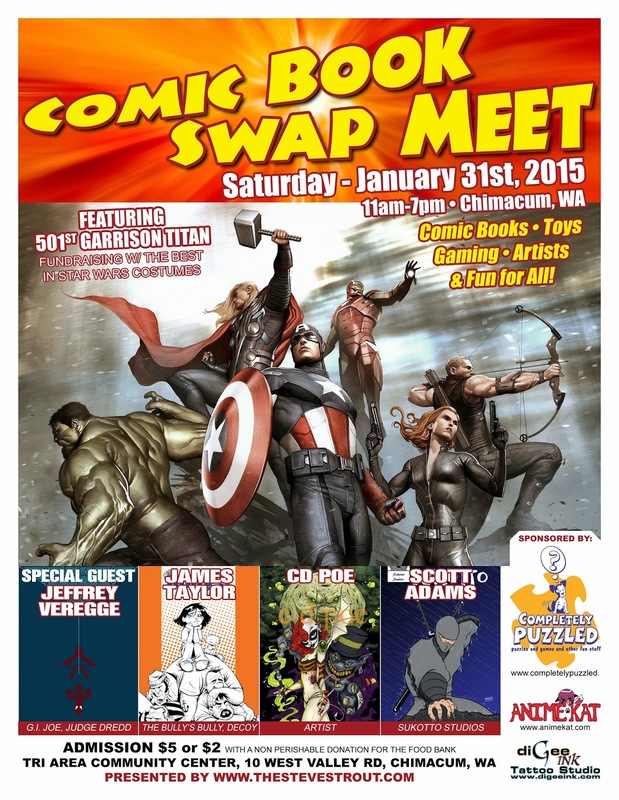 Here's the official show poster for the Comic Book Swap Meet on January 31st! The Comic Book Swap Meet is Washington state's mini comic-con on the Olympic Peninsula. The show features comic sellers, toys, gaming and supplies, cosplay, cool nerdy vendors, and comic book guests. Comic guests include CD Poe, James Taylor, Scott Adams, and our guest of honor Jeffrey Veregge!! Stay tuned here at www.thestevestrout.com, www.facebook.com/comicbookswapmeet, www.facebook.com/groups/comicbookswapmeet, and www.twitter.com/thestevestrout for all the latest info!!! Be sure to check this out too!!! As comic book readers, we see artists and writers come and go on our favorite titles. You defintely won't a single contributor work on the same series for 20 years!! My subject of this next interview breaks that trend and more. 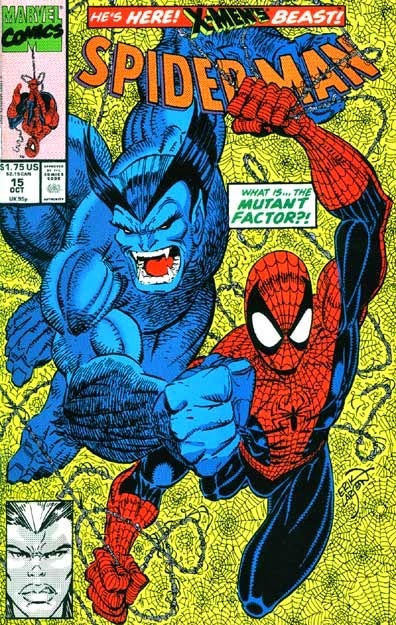 In my opinion, Erik Larsen is a modern legend in the comic book business. From his Marvel days when he took over doing the art on Spider Man from Todd MacFarlane (who you might've also heard of), to being one of the original owners and founders of Image Comics, and now hitting the huge milestone of his 200th issue of what Mr. Larsen refers to himself as the "perpetrator" of, Savage Dragon (which he writes and does the art for), he's done it all. I'm absolutely honored to have had this correspondence with him. 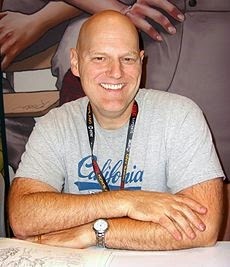 Enjoy my interview with Savage Dragon's creator, Erik Larsen! SS: I'd like to thank you for taking the time for this Q&A with us. 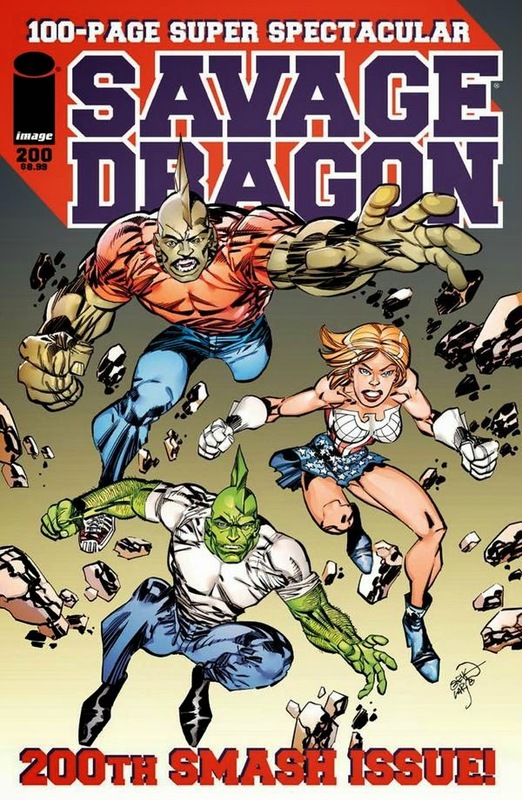 I'd also like to congratulate you on the recent release of Savage Dragon issue #200! That is a big milestone. When you first started Savage Dragon, did you expect the longevity of the run? EL: Of course not. I had high hopes. The hope was to write and draw the book for the rest of my career but there was no guarantee that would happen. I certainly wasn't expecting that or planning as though that was a possibility. Still--I couldn't be more pleased to have made it this far. If it all ended tomorrow having had the opportunity to do whatever I wanted to for 22-years is nothing to sneeze at. SS: Since you write and do the art for the title, and though that doubles the workload, is it at all easier to put each issue together since you can basically put your own vision of your story on the pages versus trying to translate someone else's vision of characters and plot?EL: You would think so but the writer and artist don't always agree on what to do. There are things that are a blast to draw but I can't necessarily string together coherent stories just about that kind of thing. It involves a lot of thinking. When you're just drawing other people's stories you don't have to think about this stuff night and day. It may be easier plotting for me than having to write out every detail to explain my vision to another artist but it's still a lot of work. 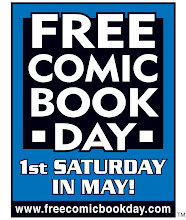 SS: There will be a Savage Dragon Free Comic Book Day release in May. Can you give us any details on that? Is there going to be a separate story, or continuation of the current arc at the time? EL: It'll be a stand alone issue but that's frequently the case. The book has Malcolm taking a big step after high school and following in his father's footsteps by becoming a police officer in Chicago. It puts it all out there--your proverbial great jumping on point for new readers and that will be collected in and expanded on in a later issue of Savage Dragon. The thing about FCBD is that not every store participates so it has to be incorporated in a regular issue or made available in another way or readers can't get all of the story. SS: With the boom of comic book based television and film right now, is there any talk of bringing Dragon to TV (maybe try an animated show again?) or the big screen? I'd personally love to see a Savage Dragon live action film! EL: There is forever talk. A screenplay exists but at this point I have nothing to report. SS: Since I mentioned comic movies, do you have a favorite comic based film and why? Are there any coming up you're looking forward to? EL: I enjoyed the Avengers quite a bit. That felt like a decent old school Marvel comic to me. It hit a lot of the right notes. I also liked the first Amazing Spider-Man, which was a stark contrast to the Rami Spider-Man movies which I didn't care much for. Oh, sure, Dr. Octopus looked great but beyond that--meh. I take in what I can. I dunno if you'd call Birdman a comic book movie but it was great. Looking forward to more of whatever's coming. I'll watch most of it. SS: Now that we're talking personal opinions and likes, are you reading any current comic book series? Whats in Erik Larsen's pull list nowadays? EL: I don't have a pull list per se. I pick things off the rack which appeal to me. I read a lot of the Image books--Invincible, Walking Dead, Southern Bastards, Shutter, MPH and--geez, it seems like we're doing all the cool stuff. I guess Dark Horse does Hellboy and I buy that. I follow a few artists' work at Marvel but I'm not really all that excited about the books as reads--Chris Bachello, Humberto Ramos and a few others. SS: You've been quoted in other interviews citing legends such as Jack Kirby, Herb Trimpe, John Byrne, and Frank Miller as artistic influences. Do you feel a sense of responsibility to be influential to newer comic creators? EL: There's nothing I can do about that. That's entirely up to the people reading the stuff. I know a few artists list me as influences and writers too. Both Robert Kirkman and Joe Keatinge being the most successful ones. SS: What new artists and writers do you think we should keep our eyes on, that have the potential to be the next big thing in comics? EL: That Shutter book is awfully good. Joe Keatinge and Leila Del Duca are doing some awfully nice work on that and I love the fact that they're intentionally making a book intended to be a comic book and nothing more. All those visual things--emulating comic strips and stuff--that's not going to work as a TV show or movie. I love movies and all that but there's something to be said for people doing work that embraces all that comics are and can be. SS: What advice would you give to new creators and indie creators on getting their work out there to be seen? EL: There's nothing to say beyond do good work and network. Show your stuff to everybody. If it's good--you'll get there. If it's not--you won't. 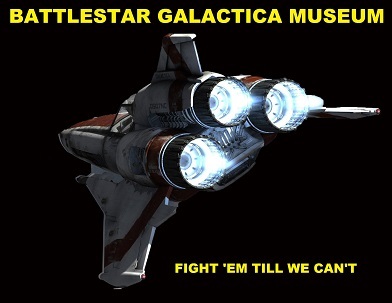 SS: Are there any projects or characters out there that you would still love to work on? EL: Beyond Savage Dragon? Just stuff I own and books I want to create. I'm through with work-for-hire. EL: At the end of the day--I love comic books. I got into comic books because I wanted to do comic books--it wasn't a stepping stone to movies or TV--this was the end goal. This was what I wanted to do. Comics have their own advantages and shortcomings and I adore creators that make comic books that are better than movies on paper. We can do some much and often we do so little. The movies can't really pull off a guy in a seamless skintight costume with every muscle flexing. We can do that. It's a bit disheartening to see companies compromise their comics and emulate film, adding straps and seams to costumes. We can do better with that--we have done better. Why are we stooping to their level instead of embracing our strengths and showing them how it's done! 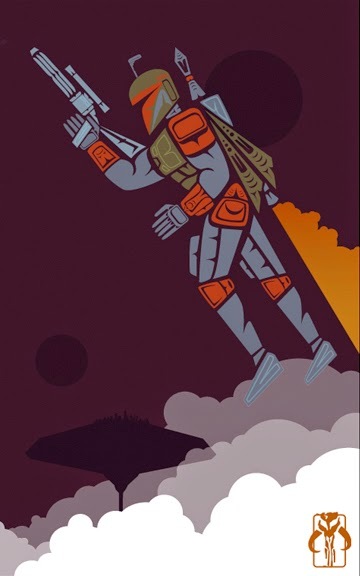 We mentioned recently that the Comic Book Swap Meet is coming up on January 31st, 2015, and that we'd be adding more guests..Check out these great artists that will be joining Scott Adams (www.sukottostudios.com) and our guest of honor, Jeffrey Veregge (www.jeffreyveregge.com)! I'm excited to announce comic artist and writer James Taylor. Mr. Taylor has been working in the industry since the late 90's on projects such as The Victorian, Para, Decoy, and Anne Steelyard for Penny Farthing Productions and also does freelance work as an inker and graphic designer, while running his own publishing company, Rorschach Entertainment. If that wasn't enough, he also runs the Jet City Comic Show in Tacoma, Washnington. 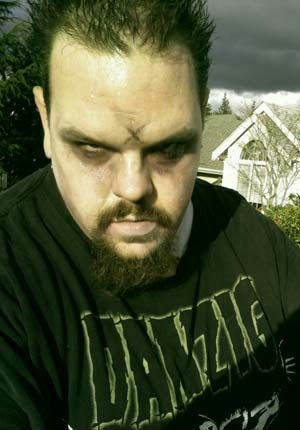 He is currently working on a creator-owned web comic entitled The Bully's Bully of which the first issue of the graphic novel was released in August 2014, as well as a new Decoy series for Panny farthing Productions. I look forward to having him at the show and pick his brain a bit about the ins and outs of running a big convention like the Jet City Comic Show. Go check out The Bully's Bully at www.bullysbully.com. Also, Back by popular demand is Kitsap county CD Poe! He joined us at the last Comic Book Swap Meet back in August, and was a hit. Show attendees kept him busy all day doing custom sketches, and buying his art prints. He has been a favorite at area conventions, including our Cmic Book Swap Meet and Jet City Comic Show! "He draws his inspiration from a variety of sources. He is very much into art nouveau, contemporary pin-up photography, tattoo art, faerie lore and mythology. His literary influences are J.R.R. Tolkien, Clive Barker, Charles Baudelaire, Edgar Allan Poe, Neil Gaiman, to name a few. Artists which adorn his walls and constantly live in the back of his twisted cranium include Brom, Frank Frazetta, Todd McFarlane, Tim Bradstreet, Alphonse Mucha, Gil Elvgren, Olivia, Charles Vess, Joseph Michael Linsner, again to name a few. 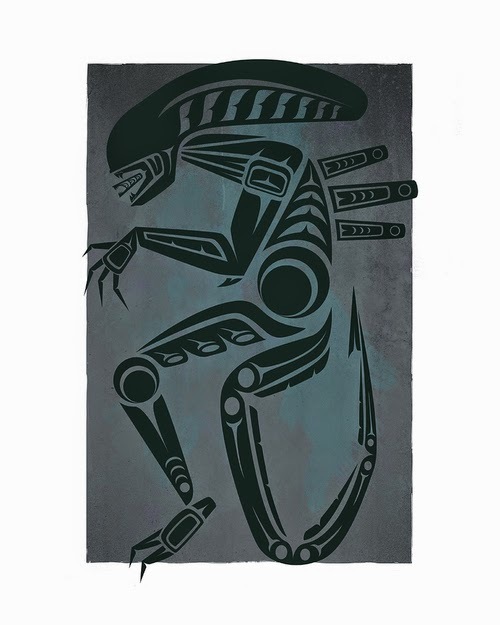 All of this finds it's way into his work, with a smattering of comics and gaming." Be sure to stay tuned for all the latest on the Comic Book Swap Meet. We're going to be raising some funds for some great causes. Hope to see some of you there. Put it in your calendar...January 31st, 2015 in Chimacum Washington! As previously stated, I received an independent comic from a creator named Dani Smith. She sent me the first issue of her book Skriker. I must say, I was pleasantly surprised by the book. The art is very bold, colorful, and to the point. The story itself had an anime/manga feel to it, which worked for me, since I've recently started rally getting into Anime and Manga. 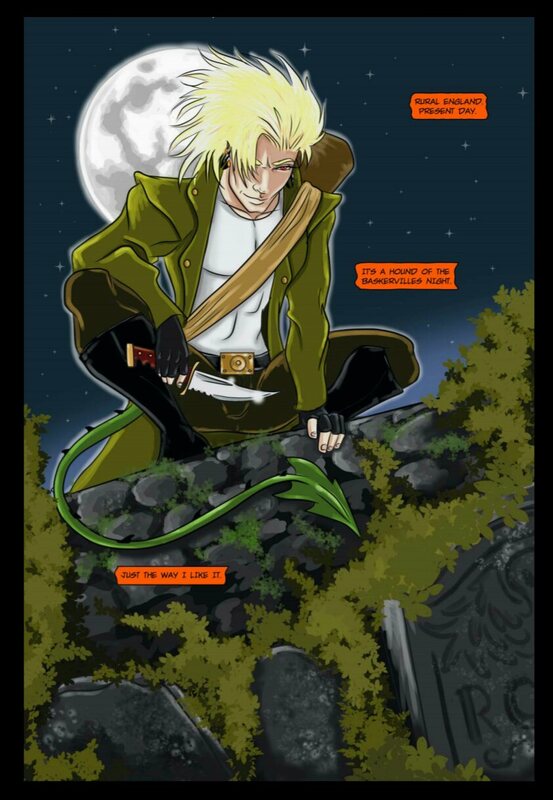 Skriker is a tale of a demon/human hybrid who was orphaned as a child. He is taken in by a bar owner who happens to have a monstrous side to himself. He grows into a warrior of sorts, but by the end of book #0, he makes a new friend and rears his humanity. I've still been in a turkey coma, so we're going to be talking about my favorite books from these past two weeks, ok? Wait, you don't get a vote! Gotham By Midnight is another book in DC's latest slate of offerings that dig for deeper stories that a rich setting like Gotham City has to offer. I've already sang the praises of Gotham Academy and Arkham Manor, so I wasn't too shocked by how much I enjoyed this book. Gotham By Midnight is a part horror, part supernatural book that stars an off the books GCPD operation tasked with investigation the strange and unusual crimes in Gotham. Think of a cross between the X-Files and Warren Ellis' excellent comic Fell, and you've got the basic idea here. Writer Ray Fawkes does a bang up job with this first issue, introducing the characters with clumsy exposition, while building the creep factor well. Art duties are covered by the inimitable Ben Templesmith, who I think we can safely say has been delivering iconic work. 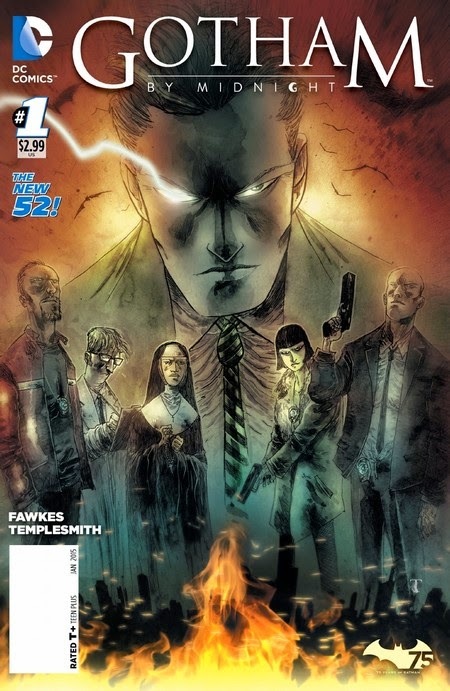 This book fits perfectly in Templesmith's wheelhouse, and he does stellar work. This is one I don't plan on missing. 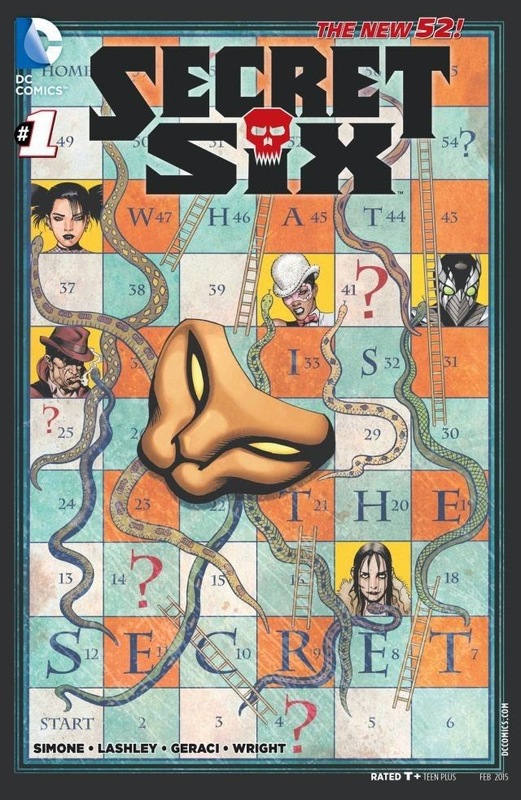 If you've been part of the fan base clamoring for DC to revive the Secret Six, then this past week was a good one for you. Gail Simone returns to the title with this latest reinvention of the group. Details surrounding this book have been very secretive, so I won't spoil anything here, but it's safe to say that Simone has another winner on her hands. This first issue swiftly introduces us the Six, as they awaken in a locked room, possibly somewhere at the bottom of the ocean. What follows is some psychological torture a la the Saw films, and the idea that someone is manipulating these people. I'm a fan of just about anything Simone gets her hands on, so I was onboard when this was announced, and she doesn't disappoint here. I love how we meet and learn about these characters as they deal with impossibly high stakes right off the bat. Ken Lashey is on art duties here, and he makes the panic and claustrophobia leap off the page. Buy this now. 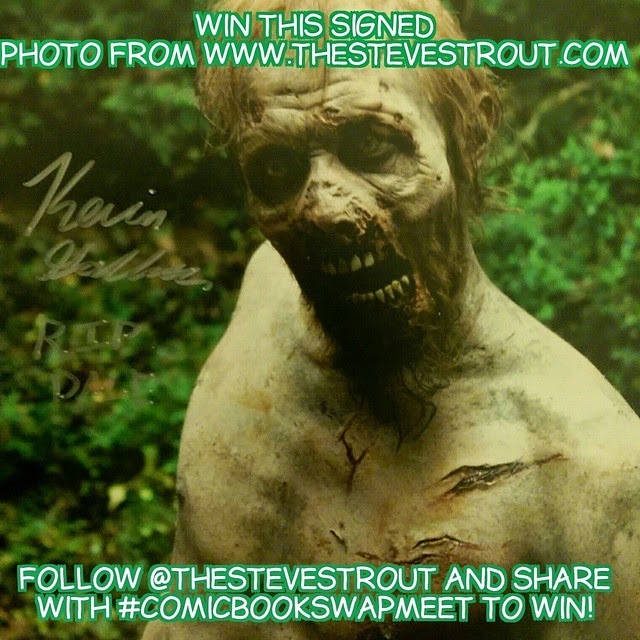 Before I share the big guest announcement for the next Comic Book Swap Meet, I wan't to remind you all about the latest giveaway we're doing here at www.thestevestrout.com !!! All ya gotta do is follow @thestevestrout on Twitter or Instagram (OR BOTH!!) and share the following picture and use the hashtag #comicbookswapmeet to enter. Feel free to enter as many times as possible!!! We will be selecting a winner on Saturday December 13th at 9pm Pacific. 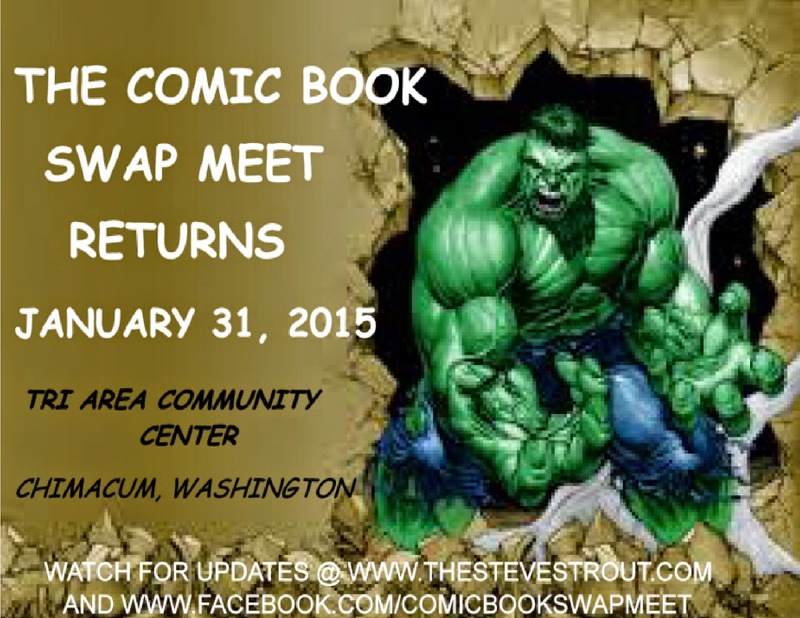 The Comic Book Swap Meet, as I announced recently, Is happening on January 31st, 2015 at the Tri Area Community Center in Chimacum, Washington! 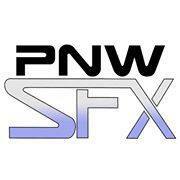 Come check out our mini convention here on the Olympic Peninsula. And finally, our big announcement!!! We already announced that we will be joined by the creator of the Sukotto comic book series, Scott Adams. You can find info on Scott at www.sukottostudios.com and in our interview from earlier this year. With out further adieu...We are super excited to announce our comic book guest of honor for the Comic Book Swap Meet, Mr. Jeffrey Veregge. Veregge is a rising star on the comic book scene as a cover artist as of late. Recent published work can be seen on some major titles on publishers like IDW . 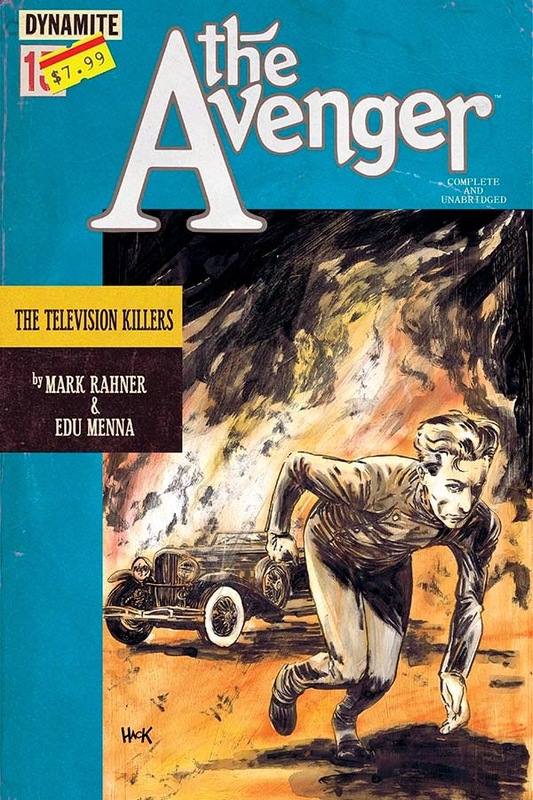 His art has been recently featured on the cover of issues of G.I. Joe, Judge Dredd, and more. Come out on January 31st to meet and support this one of a kind talent. 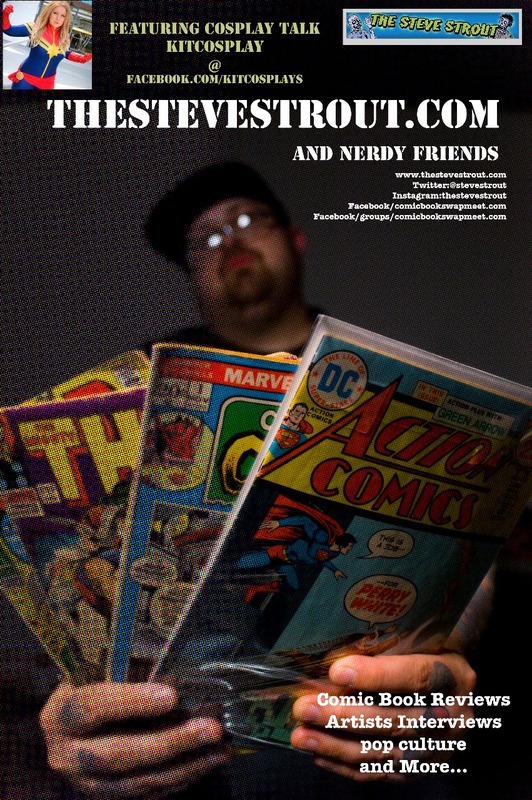 Stay tuned for more details on the Comic Book Swap Meet and all the other great features here at www.thestevestrout.com! !